This is my first triangle-shaped shawl design. 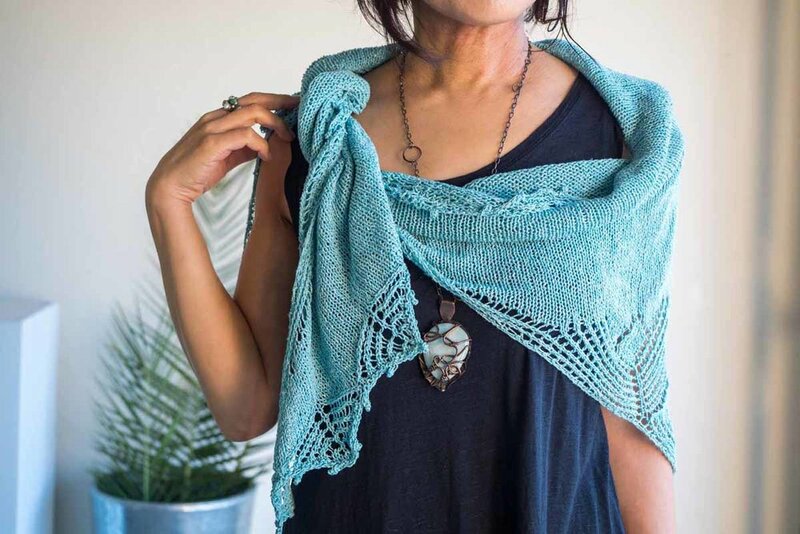 When I discovered that a triangular shawl can be worn differently than rectangular shawls, I decided that I wanted to have one. I played with stitch patterns and came up with a rounded motif that I liked for the point of the triangle. The shawl begins with full motif patterns and then partial motif patterns make up the edges, giving the edges a clean line. For the longer top edging, I used only the beginning of the motif pattern and finished the edging with a picot bind-off. I was pleasantly surprised by the zigzag top edging after the shawl was blocked. 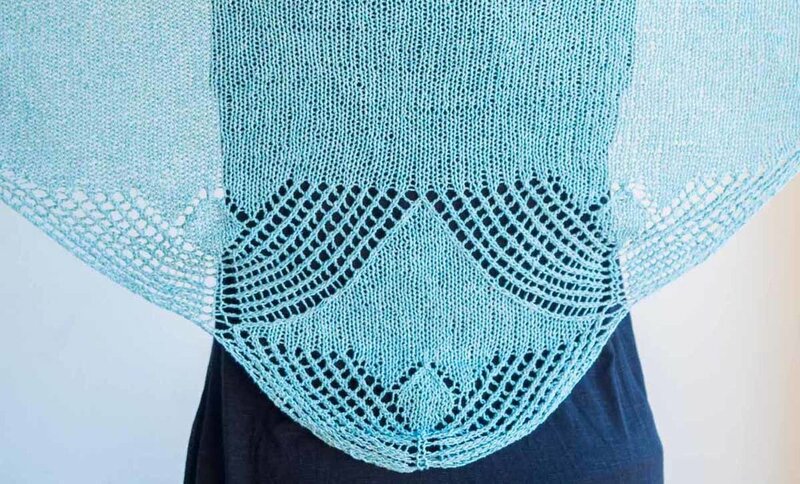 I’m sure that you will enjoy wearing this shawl for a night out on the town!